In order to show that a tipper received a personal benefit—a key prerequisite to insider trading liability—through a “gift” of information to a tippee, the government is no longer required to provide evidence of a special, close relationship between tipper and tippee. Rather, the government need only establish that the tipper disclosed information “with the expectation that the recipient would trade on it,” and that “the disclosure resembles trading by the insider followed by a gift of the profits to the recipient.” Martoma Slip Op. at 27-28 (brackets and internal quotation marks omitted). While this language is drawn directly from Supreme Court precedent in Dirks v. S.E.C., 463 U.S. 646 (1983), and Salman, the spirited dissent from Judge Pooler raises important concerns that the Martoma decision will expand the fact settings in which an insider trading prosecution may be brought in a way that puts innocent conduct at risk. Also, it is possible that the dissenting opinion will inspire the Court to grant a petition for rehearing en banc in order to resolve any lingering inconsistency between the Circuit’s two recent, landmark decisions. Martoma was convicted in 2014 after trial on charges of securities fraud and conspiracy to commit securities fraud in connection with an insider trading scheme involving the securities of two pharmaceutical companies that were developing an Alzheimer’s drug. The government presented evidence that Martoma—over an 18-month period and in roughly 43 paid consultation sessions—received confidential information from a doctor involved in the drug’s clinical trial. When the doctor ultimately obtained the confidential (and disappointing) final efficacy data for the drug, he shared that with Martoma, too, in two meetings for which he did not specifically bill Martoma. Martoma traded on this information, securing a combined hundreds of millions of dollars in gains and averted losses for his hedge fund. Martoma raised two challenges on appeal: first, that the evidence at trial was insufficient to support his conviction and second, that the district court erred in its jury instructions in light of the Second Circuit’s decision in Newman (decided after Martoma was convicted) such that he is at least entitled to a new trial. After the Supreme Court issued its decision in Salman, the parties submitted supplemental briefs and presented argument on that case’s effect. Martoma had no independent duty to the pharmaceutical companies whose securities he traded. His insider trading liability was premised, instead, on his status as a “tippee” of a “tipper” (the doctor) who had a duty of loyalty and confidentiality to the companies. The Supreme Court held decades ago in Dirks v. S.E.C., 463 U.S. 646 (1983) that a tippee who trades on material nonpublic information from a tipper can be liable for insider trading only when (a) the tipper has breached his fiduciary duty (or other duty of loyalty and confidentiality) to the shareholders through the disclosure and (b) the tippee knows or should have known that there has been a breach. See id. at 660. Under Dirks, the tipper breaches his duty when he will personally benefit—directly or indirectly—from his disclosure to the tippee. See id. at 662. Id. at 664. The description of this second scenario, in which the tipper personally benefits through a “gift of confidential information to a trading relative or friend,” was followed by the following gloss: “The tip and trade resemble trading by the insider himself followed by a gift of the profits to the recipient.” Id. It was this “gift theory” of tippee liability that was the focus of the opinions in Newman and Salman and that the Second Circuit considered at greatest length here in Martoma. On appeal, the Court swiftly rejected Martoma’s argument that the evidence at trial was insufficient to support his conviction. Applying the “exceedingly deferential” standard of review for sufficiency challenges, the Court concluded that there easily was enough evidence of a pecuniary quid pro quo relationship between Martoma and the doctor to support the requisite finding that the doctor received a personal benefit. See Martoma Slip Op. at 15-16, 18-19. Since it did not rely on the gift theory here, the Court had no reason in this portion of the opinion to consider the viability of Newman after Salman. Judge Pooler did not raise objections to this aspect of the majority’s opinion. The Court devoted the greater part of its majority opinion to Martoma’s second argument: that the district court improperly instructed the jury in light of Newman. Once Salman was decided, the question became not only whether the jury instruction was erroneous in light of Newman, but to what extent Newman remained good law after Salman. In Newman, the Second Circuit—interpreting language in Dirks that there is personal benefit “when an insider makes a gift of confidential information to a trading relative or friend” (emphasis added)—concluded that an inference of personal benefit under the “gift theory” required “ proof of a meaningfully close personal relationship  that generates an exchange that is objective, consequential, and represents at least a potential gain of pecuniary or similarly valuable nature.” 773 F.3d at 452. In its recent decision in Salman, the Supreme Court stated that the second part of the Newman standard was “inconsistent with Dirks,” but did not address the “meaningfully close personal relationship” requirement. 137 S. Ct. at 428. The Court, applying plain error review because Martoma had not raised this issue at trial, found no plain error. While acknowledging that the Supreme Court in Salman had not explicitly abrogated the Court’s “meaningfully close personal relationship” requirement, it concluded that the requirement was no longer good law under Salman’s logic. Instead, a tipper could personally benefit under the gift theory if he disclosed information to the tippee—regardless of relationship—“‘with the expectation that [the recipient] would trade on it,’ Salman, 137 S. Ct. at 428, and the disclosure ‘resemble[s] trading by the insider followed by a gift of the profits to the recipient,’ id. at 427 (quoting Dirks, 463 U.S. at 664).” Martoma Slip Op. at 27-28. The Court reasoned that when the Supreme Court in Dirks stated that personal benefit could be inferred from a “gift of confidential information to a trading relative or friend,” it was merely providing an example: “this discussion did not purport to limit to these examples the situations in which a personal benefit can be inferred.” Martoma Slip Op. at 21. Instead, it was the latter part of the Dirks discussion, reiterated by the Supreme Court in Salman, that provided a limiting principle: a tipper receives a personal benefit through a gift of inside information to a tippee when the transaction is functionally equivalent to a trade by the tipper followed by a cash gift to the tippee. See id. at 25-27. This may be so, the Martoma Court reasoned, when information was disclosed “with the expectation that [the recipient] would trade on it,” regardless of the relationship between the parties. See id. at 27-28. Evidence of a meaningfully close personal relationship might at times be relevant, but it is not required. See id. at 28 n.8. With this understanding of the law, the Court identified no “obvious” error (a requirement for plain error review) in the district court’s instruction. Martoma Slip Op. at 35. It reasoned, further, that even if the instruction was obviously erroneous, Martoma’s rights were not substantially impaired (an independent requirement to vacate for plain error) because it was “clear beyond a reasonable doubt that a rational jury would have found Martoma guilty absent any error.” Id. at 37 (brackets and internal quotation marks omitted). The Court reasoned that given the substantial evidence of a quid pro quo relationship between Martoma and the doctor, the “inescapable conclusion” was that the doctor’s disclosure of confidential information was designed to translate into future earnings. Id. at 36. In other words, even if the district court erred in its “gift theory” instruction, the result would have been the same because the evidence of liability was so overwhelming under a pecuniary quid pro quo theory. Judge Pooler disagreed with the majority’s reading of Salman, contending that Salman cast no doubt on Newman’s “meaningfully close personal relationship” requirement. Martoma Dissent Slip Op. at 15-18, 35. In Judge Pooler’s view, therefore, the three-judge panel had no authority to revisit the Newman precedent. Applying the Newman standard, as well as modified plain error review that shifted the burden to the government to show harmless error, see id. at 32-33, Judge Pooler concluded that the district court committed plain error in its jury instruction and that the error was not harmless, id. at 36-43. Judge Pooler focused on the fact that the doctor never billed Martoma for disclosing the final efficacy data on which Martoma traded, concluding that a reasonable jury would not have been compelled to find that the doctor disclosed information anticipating a pecuniary benefit. See id. at 41-43. Framing the issues for an en banc poll or a potential petition for certiorari, Judge Pooler also weighed in at length on the relative merits of the Newman and Martoma rules. The Martoma rule, in her view, was not only unsupported by Dirks and Salman, but inconsistent with them, since it failed to give effect to the “friends and relatives” language in Dirks and Salman. See, e.g., id. at 29 n.15. She contended, further, that the “meaningfully close personal relationship” requirement of Newman was a necessary safeguard against prosecution of innocent conduct. Absent the relationship requirement, a tippee may in theory be convicted based entirely on circumstantial evidence of the tipper’s “expectation that the [tippee] would trade on” disclosed information. See id. at 20-22. The Martoma decision signals an important development in Circuit law on “gift theory” liability for insider trading. It nonetheless leaves much to be filled in, particularly with respect to the evidence necessary to establish that a tipper disclosed information “with the expectation that the recipient would trade on it” and that “the disclosure resembled trading by the insider followed by a gift of the profits to the recipient.” What is clear is that absent a requirement to prove a “meaningfully close personal relationship,” the government’s evidentiary bar in the Second Circuit is now lower than it was before Martoma. There will be cases affirmed in which the tipper-tippee relationship is not especially close, cases that might have been foreclosed under Newman. What is a tougher question to answer is whether Martoma does anything more than follow Dirks and Salman. This is the primary debate between the majority and the dissent. The majority answers this question in the negative: Dirks does not require a special relationship, just a gift of information. Salman does not address a factual setting that would have tested this issue, but neither does Salman suggest that anything more than a gift of information equivalent to a gift of profits is required. Judge Pooler, however, answers this question in the affirmative: insider trading without a pecuniary quid pro quo requires that there be a relationship akin to friendship or family relatedness. 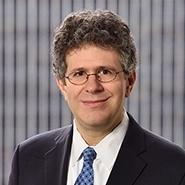 Defense counsel in insider trading cases will not be able to invoke Newman within the Second Circuit, but as Chief Judge Katzmann explained in a footnote, the Newman standard will live on in another sense. When a jury assesses whether the information resembled a gift of profits to the tippee, it will need to scrutinize the relationship between the tipper and the tippee. In the absence of a close relationship, the jury may not believe that the tipper intended to give a gift to the tippee. In this footnote, Judge Katzmann makes clear that he wants to leave considerable discretion to the jury. He writes, “[i]t is for the jury to decide, based on all of the facts and circumstances in a particular case, what to infer about the tipper’s purpose from his relationship with the tippee.” Martoma Slip Op. at 28 n.8. The Circuit will backstop the jury, reversing in cases where the very strict Rule 29 standard is satisfied. Judge Pooler raises some practical concerns about this reliance on then jury to sort things out, rejecting the notion that “the cure for convictions that may rely entirely on circumstantial evidence is a proceeding where that same circumstantial evidence is evaluated in the light least favorable to the defendant.” Martoma Dissent Slip Op. at 22. Was the “holding” dicta and what impact might that have on further review? Perhaps tellingly, the Martoma Court never itself weighed the evidence under its new standard for tippee liability under the “gift theory.” It did not need to because, in the Court’s view, the evidence of a pecuniary quid pro quo relationship between Martoma and the doctor was so strong. Indeed, given the Court’s conclusion that Martoma’s substantial rights would not have been affected even if there had been a jury instruction error, one wonders if the panel needed to reach the question of whether Newman’s “meaningfully close personal relationship” requirement was good law. One also wonders whether this alternative holding renders the case an unlikely subject of further review, either by the Second Circuit en banc or by the Supreme Court. At the same time, one suspects that two active Second Circuit judges (Judge Hall, who was on the panel in Newman, and Judge Pooler) would be open to voting in favor of rehearing en banc. The possibility that the Court could have avoided the question of whether to overrule Newman but chose not to also has important implications for Circuit practice. The majority of the panel took a very broad view of its power to overturn Circuit precedent. Salman never explicitly addressed the Newman requirement at issue. It also involved very different facts—the tipper and tippee were brothers—and there was serious disagreement within the panel as to whether Salman cast doubt on that requirement so as to give the panel the power to overrule it. This opinion may signal an increased willingness on the part of three-judge panels, and even two-judge majorities, to overturn Circuit precedent in light of intervening Supreme Court decisions. One wonders whether the panel considered the option taken in some cases of a “mini en banc” in which the panel circulates the opinion prior to its release for comment from the full court in order to avoid en banc proceedings. Assuming that this practice is still one that the Court is prepared to use, the fact that no such procedure is mentioned in the majority opinion may indicate that the panel majority believed it was unnecessary to seek the approval of fellow judges. Alternatively, it is possible that the panel majority did not consider the procedure viable since the panel itself was not unanimous. At any rate, it is possible that some judges who may agree with the panel opinion may nonetheless wonder if the opinion violates the rule that one panel should not overrule another panel. Do we need an insider trading statute to reduce uncertainty? Finally, the decision further shows the hazardous nature of a judge-made, “common law of insider trading.” Insider trading law emanates primarily from judicial construction of Rule 10b-5, the general antifraud prohibition. As a result, the law veers in one direction and then another, leaving all concerned—individuals who wish to trade, prosecutors, SEC regulators, defense lawyers and even district court judges—uncertain about where the line is drawn between criminal activity and legal trading. This situation is particularly unusual in the context of the criminal law, where fair notice is so important as a guarantee of due process. Although the decision will no doubt reduce the desire of the Department of Justice to press for an insider trading statute, it supports the notion that our system would be better off with a congressional statute that prohibited insider trading. Many other countries have such a statue and perhaps we should too.